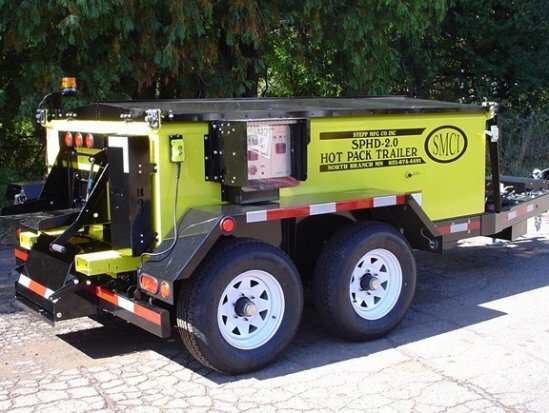 Stepp Mfg’s SPHD dump style pothole patcher is the King of Hot Boxes, designed with the end user in mind. Top Door Lift Assist is equipped with gas operated shocks to assist in top door opening. 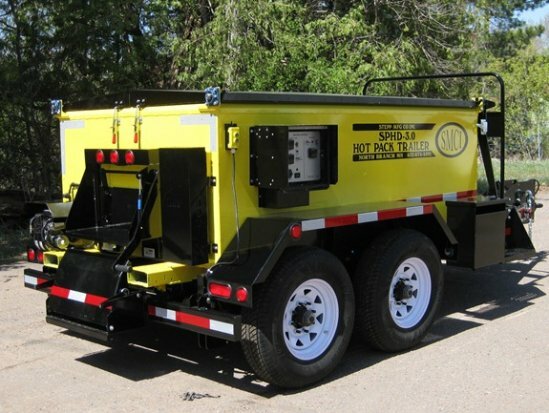 Stepp Mfg’s SPHD dump style pothole patcher is the King of Hot Boxes, designed with the end user in mind. 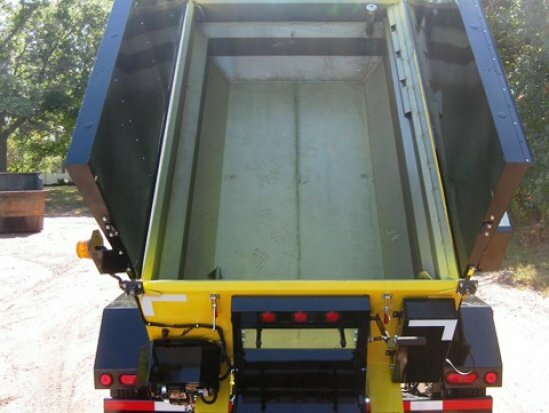 The low profile design and dumping capabilities, joined with an oil jacketed heating system, make this the most advanced patching trailer in the world. 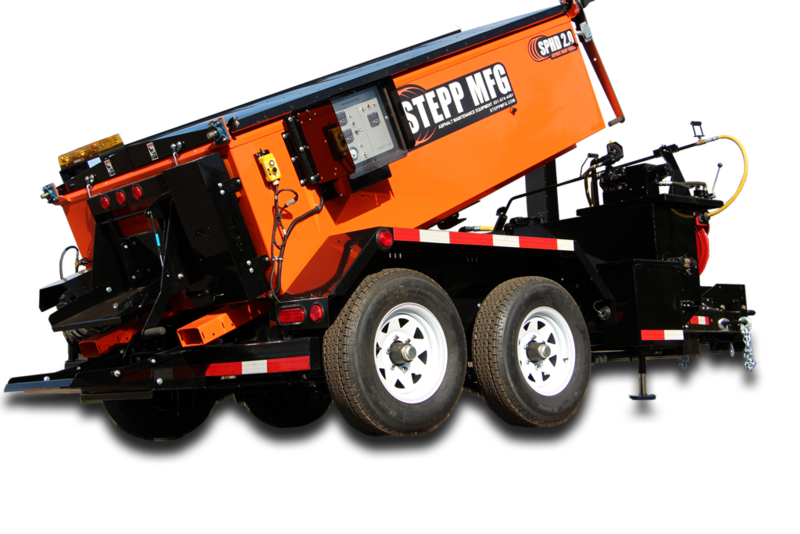 The Stepp SPHD Dump Trailer is designed with the GREEN friendly exhaust that is reused for better burner efficiency; putting the environment first and putting GREEN back in your pocket! 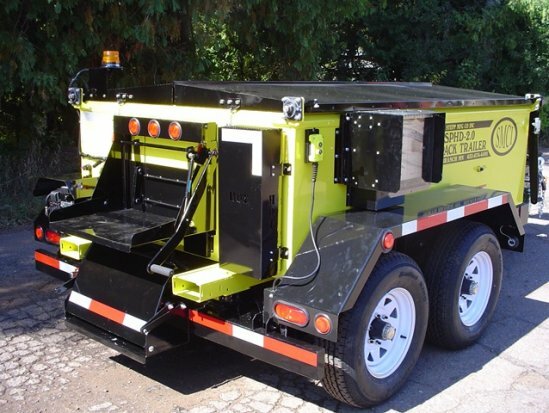 Stepp Mfg’s dump style pothole patcher is used to heat and reclaim both hot mix and cold mix materials and apply them to roads, parking lots, and bridge decks to repair potholes and utility cuts. 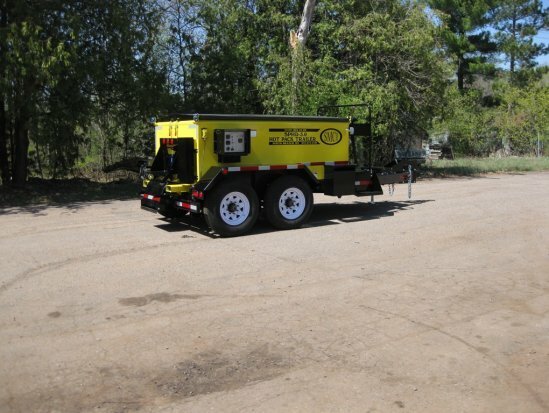 The Stepp SPHD dump style pothole patcher is offered with an oil jacketed, diesel fired heating system with a recirculating exhaust system to create a “Green Friendly” heating system. 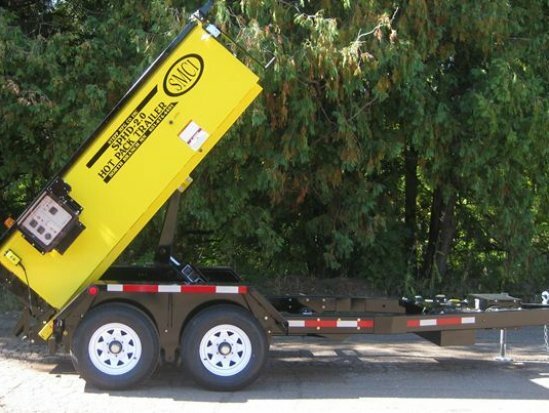 Coupling that with the market’s lowest profile, 12,000# hydraulic truck hoist, and gas shock assisted top and rear doors, make this an industry leader that will give you a safe, reliable, and operator friendly machine for years to come. Stepp Mfg SPHD — 4:12 min. Dumping Hot Box Training Video — 30:24 min.